Ocean Race fleet as the jostling for positions continues in earnest. 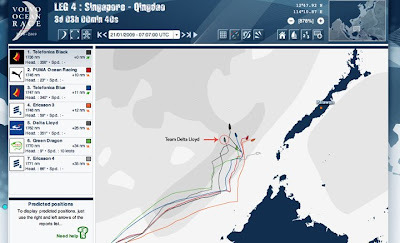 miles in leg four that has them bound for Qingdao in China. miles at the first report this morning. Grael and very much in the shake up of leg four. suggest a more favourable standing on the race course.